This is just fantastic. A globe ball in blue map color levitates between the silver finish arm and base. To top it all, lights illuminate when globe is positioned to float! It is just a sight to see! With its distinctive design, it will elevate an office or study to a high-tech world indeed! Perfect gift to give on any occasion. • Levitating globe with 3 1/2" ball. • Silver finish arm and molded base. 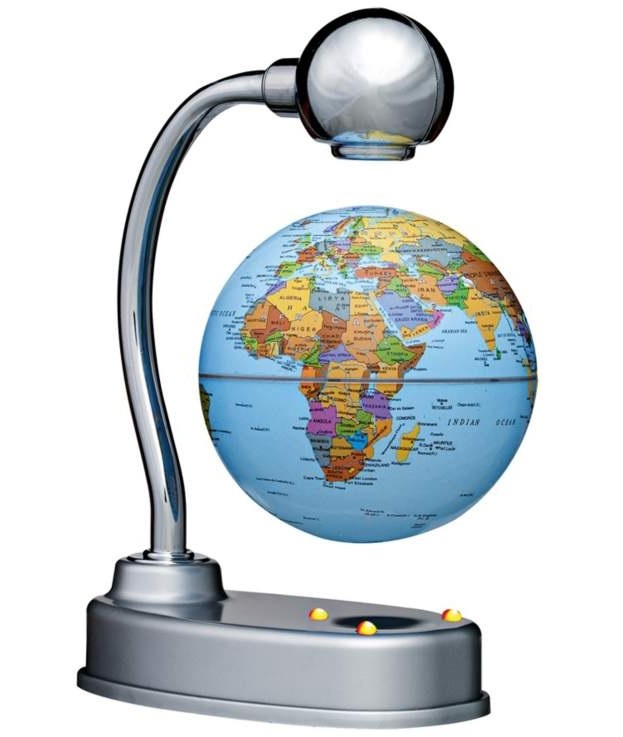 • Lights illuminate when globe is positioned to float.